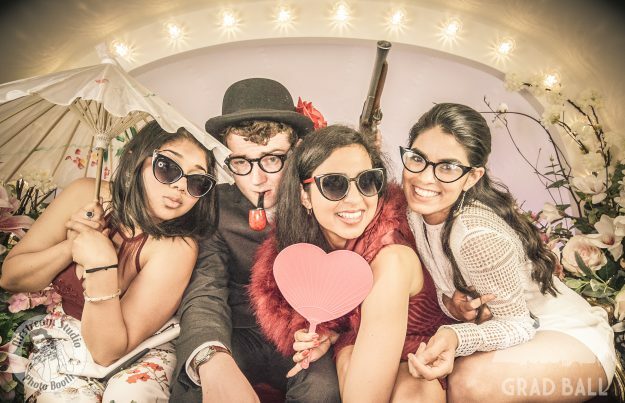 As of Monday 18 March tickets for our Great Gatsby-themed Grad Ball have completely sold out! This includes early-bird tickets, standard tickets and the final batch of tickets released to anyone signed up to our mailing list. We hope everyone is as excited as we are to celebrate on Saturday 08 June! 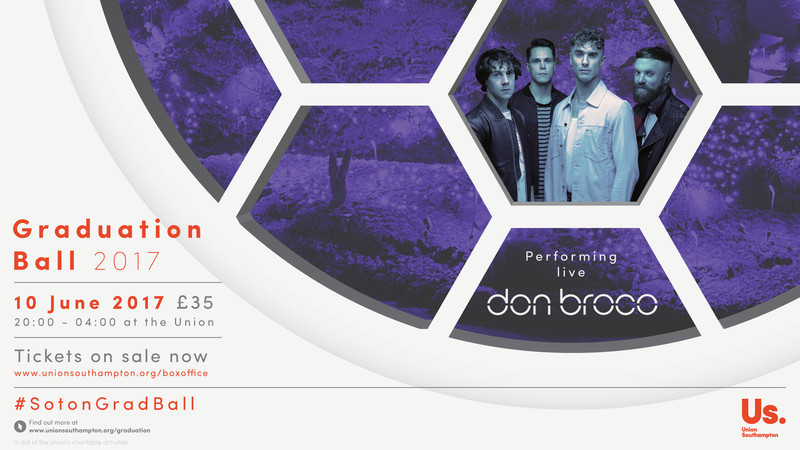 We are aware scammers, bots and fake profiles may now be targeting our Grad Ball Facebook event to sell fake tickets. We would strongly advise against buying secondary tickets from someone you don’t know. Entertainment for Grad Ball: the results are in! 60%* of people who took part chose ‘Themes’. 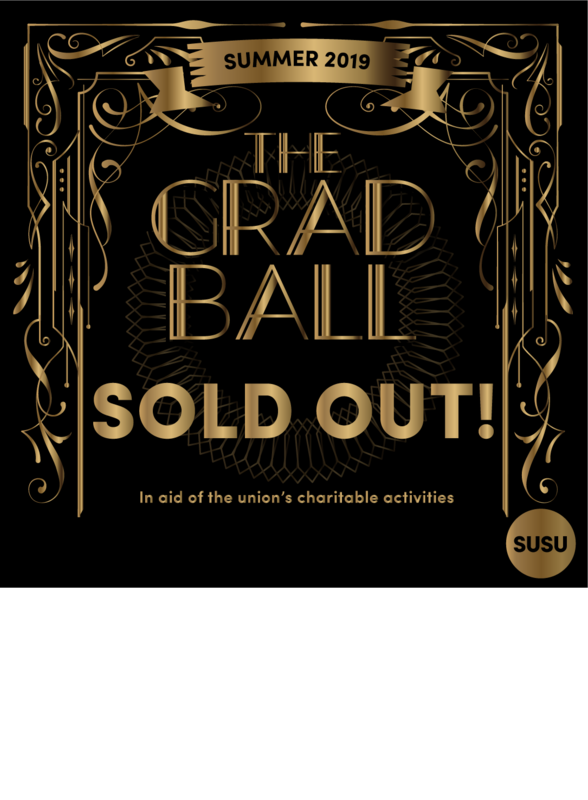 This means the focus will be on transforming the Students’ Union into an amazing venue for Grad Ball, with themed decor, entertainment and performances. If you voted for ‘Acts’, don’t worry, you haven’t missed out. 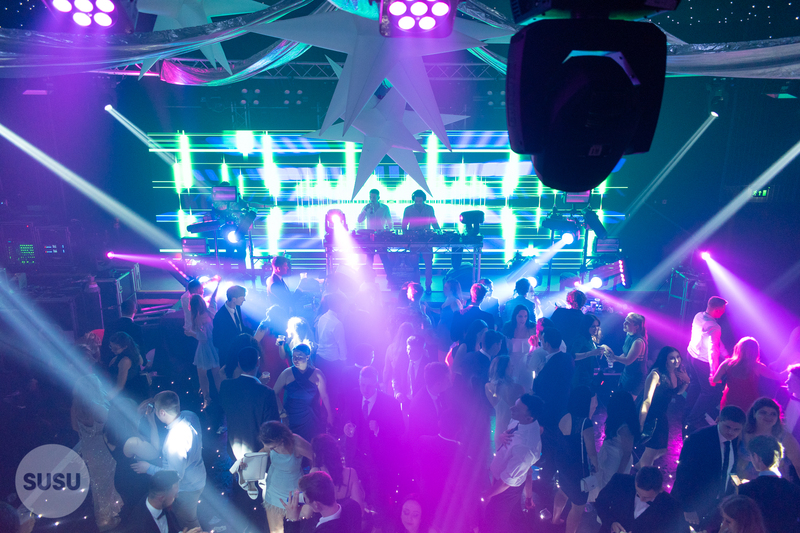 There may still be a live DJ, musician or performer on the night. More information on this will be available nearer the event. Tickets will go on sale on Monday 11 March at the early bird price of £20. 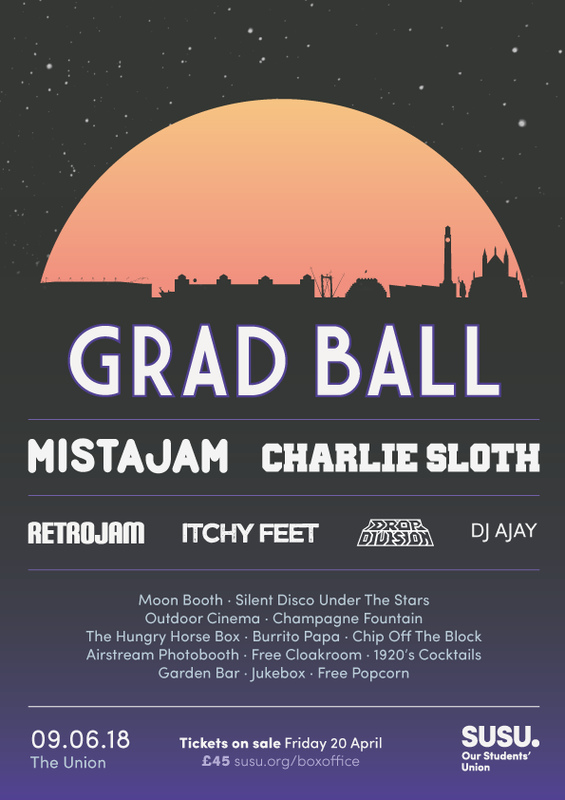 What do you want to see at this year’s Grad Ball? 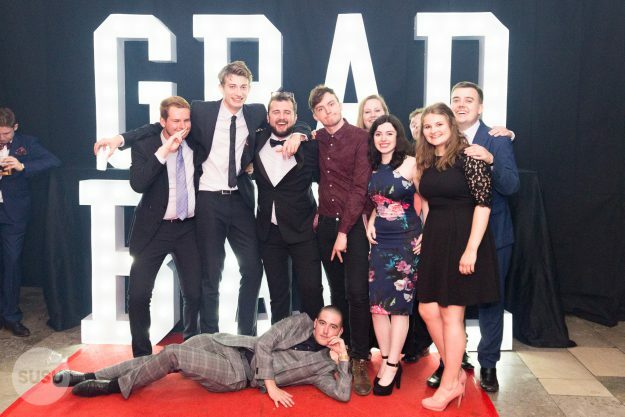 If you’re in your final year at Southampton, the end of your studies is near and we want to make sure Grad Ball is everything you want it to be! 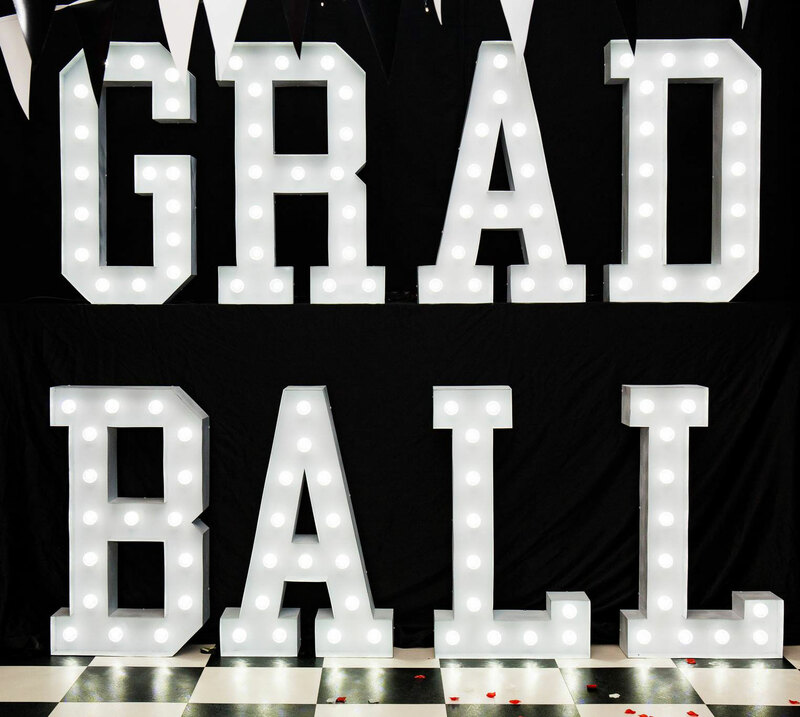 Grad Ball 2019 will be on Saturday 08 June at the Students’ Union. Would you like the Students’ Union to be completely transformed, with themed entertainment and performances? This ticket will cost between £20 – £25. If you prefer this option, click THEMES when voting. 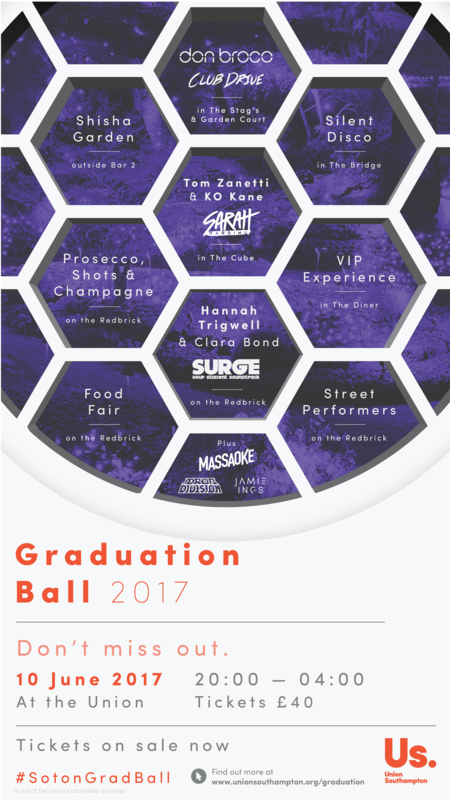 Grad Ball is just over a week away, and we can’t wait to celebrate the end of the year! Tickets will be available to collect from the Box Office (Building 42) between Friday 01 June at 09:00 and Friday 08 June at 17:00. Unable to get your ticket during this time? Don’t panic! You can collect your ticket on the night between 20:00–21:00. After this time, entry will only be permitted to those who have already collected their ticket. Remember to bring a form of ID, too. 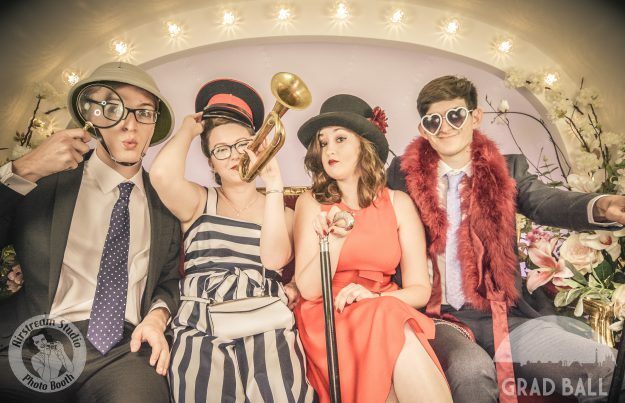 Win exclusive prizes to enjoy at this year’s Grad Ball! When you purchase a ticket from www.susu.org/boxoffice (or the Box Office in B42) you’ll automatically be entered and will be in with the chance of winning a fantastic prize over three Fridays (so the earlier you get yours, the more times your name will be entered!). 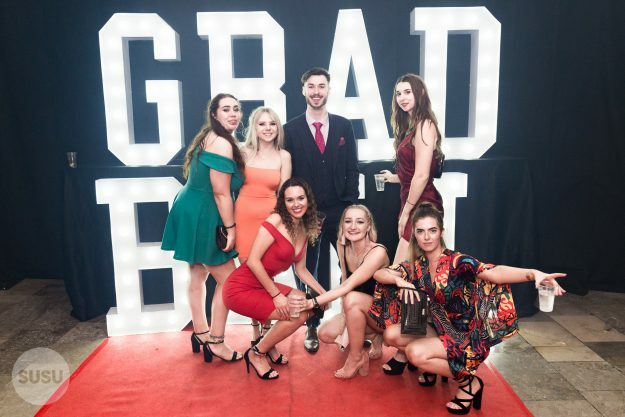 Don’t miss out on your chance to celebrate the end of University in style on Saturday 10 June as the Union hosts Grad Ball, with acts ranging from Don Broco to Tom Zanetti and KO Kane performing across multiple stages to keep you entertained on the night. Add to that some amazing drinks deals and what more could you want?